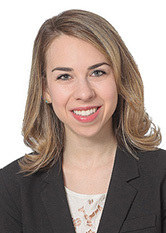 Lindsay H. Sklar is an Associate in the Bankruptcy & Creditors Rights Practice Group. She counsels a diverse range of clients in connection with insolvency-related matters, including high-net-worth individuals, major banks, financial institutions, fiduciaries and trustees, and mid-size to large corporations. Prior to joining the firm, Ms. Sklar focused on legal malpractice defense and general commercial litigation. She has conducted extensive document review and due diligence in relation to bankruptcy litigation as well as drafted agreements and participated in M&A transactions. Ms. Sklar is currently working on various Chapter 7 trustee matters as well as on the firm's representation of the SIPA Trustee overseeing the liquidation of the Bernard L. Madoff Investment Securities LLC and Bernard L. Madoff consolidated estates.